When I was younger, my mom coaxed me into cleaning by saying that if I left my room messy, I would wake up to a swarm of roaches under the covers with me. Although this was enough to scare me into cleaning as a kid, once I got older getting motivated became more of a feat. As a multi-hyphenate millennial, my life often feels like a whirlwind. Unfortunately, that is sometimes reflected in my space. Last year I went back to university and as due dates and deadlines began to pile up with school and work, it was easier to justify putting cleaning on the back-burner so I could focus on more imminent, in-demand tasks. But before long, the clutter and mess that had been accumulating over time was affecting my ability to focus on my work. Yes, I needed to fulfill all of my responsibilities; but I also needed to make sure that I was being taken care of. And for me, a big part of that was making sure that I had a clean and clutter-free space to get work done and, more importantly, to unwind once all of my work was done. The latter was especially challenging when I wasn’t cleaning because with remnants of school and work all over my space, it was difficult to distinguish work time from rest time, causing me to be constantly stressed. This is where I found the link between cleaning and self-care. I ultimately had to remind myself that I deserve to have a neat space and since I can’t afford to hire a housekeeper, whether or not that gets done depends on how I manage my time. The way I see it, keeping a neat space is as if I’m doing my future self a favour. Self-care isn’t always just indulgent, sometimes it’s getting the less desirable tasks out of the way to benefit you in the long-term. If cleaning isn’t your favourite pastime, then invite friends over and turn an afternoon of spring cleaning into a fun day with friends (spent cleaning). Stock up on snacks beforehand to make sure that your friends stay energized (and have a reason to join you other than simply being good friends). To amp up the party vibes and make cleaning feel like less of a chore, create an upbeat playlist. You might find yourself dancing through your spring cleaning! If you really want to focus on something else, try blasting a few episodes of your favourite podcast and cleaning will be finished in no time. Instead of rushing to deep clean your entire home on your day off, space out the project over a couple of weeks to make sure that you don’t get overwhelmed. 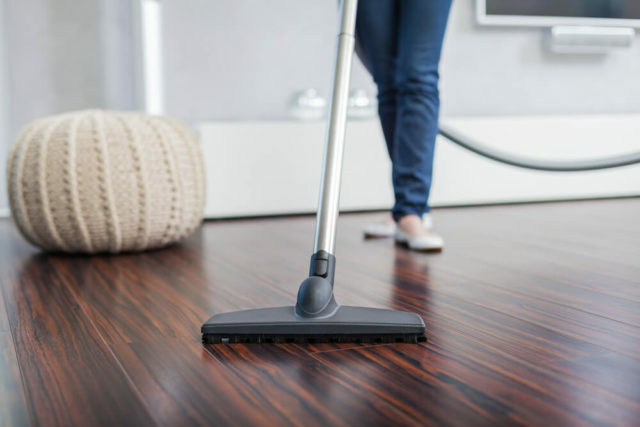 Try dividing your spring cleaning by room or by floor to give yourself a more manageable timeline and extend the gratifying feeling of productivity!